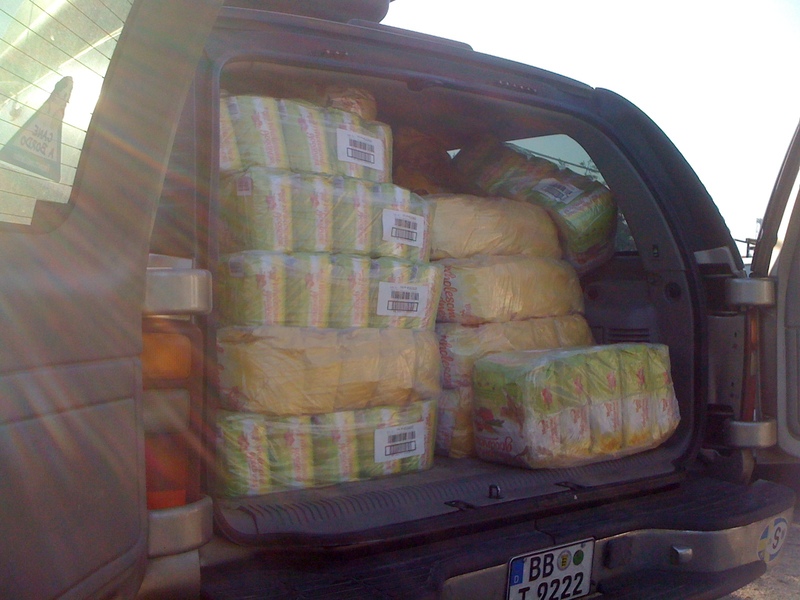 It is a lovely feeling when you get that email “food donation — bring a big car” First, Michael and his friend picked it up and drove it to our hospice in Lago Patria. 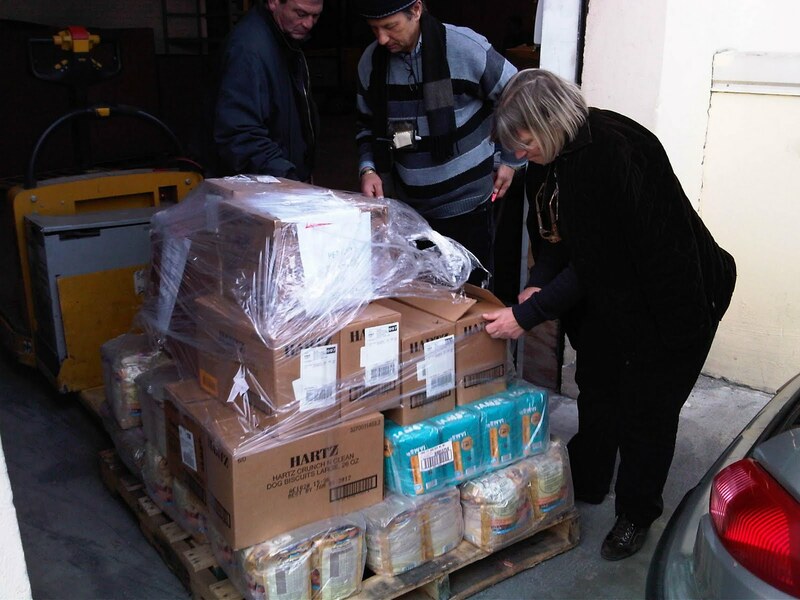 Two Pallets of mixed cat and dog food. 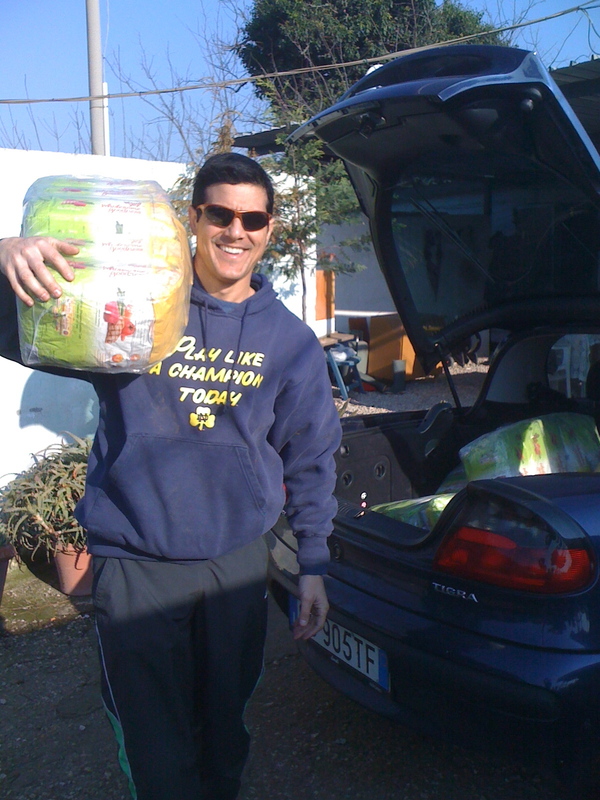 Todd drove down from Germany and stopped by the hospice to help load all the food again into the SUV. Steve was there to help and they even had to load some into his car. AWL donated mostly all the food to Adrianne’s shelter, where 400 dogs are sitting in cages. Some food went to people who feed dogs on the street. Steve fed some cats outside the base, too. 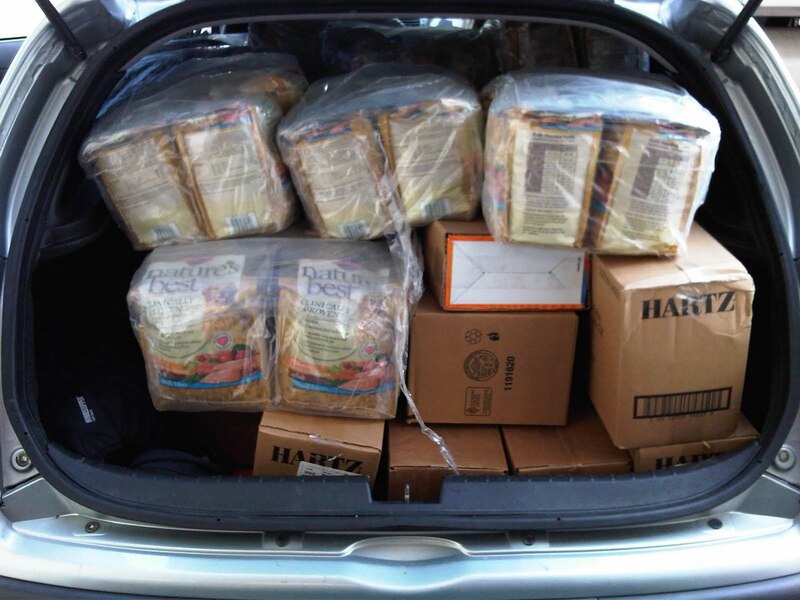 Then the following week we got a new message, “another pallet of dog food” Steve alone drove and filled his car and emptied it at the hospice. Anna and the co workers at the NEX helped Steve. We are so thankful for these gift, it means a lot but for the four legged ones that are stuck in the cages for years; they will have a full stomach and freeze less on the cold nights. For me it was very important to have Steve visiting this kind of shelters. They never come out on a walk, the horrible noise, just waiting…..